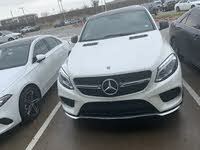 Looking for a New BMW X6 M in your area? 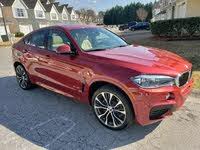 CarGurus has 371 nationwide BMW X6 M dealers with 218 new car listings. BMW introduced its X6, dubbed a “Sports Activity Coupe,” for the 2008 model year, and it was closely followed by an all-out performance version called the X6 M. The X6 is little more than an X5 midsize crossover with a chunk of the roofline removed, which makes for a sportier-looking sloping roofline but also results in less cargo room and less headroom for rear passengers. In fact, they look identical from the front—it’s only from the rear and side that the difference is obvious. Some people have a strong dislike for the X6, but it has proven to be a good seller in both normal and sporty M-spec versions. The X6 M costs a bit more than the very similar X5 M at a starting price of around $104,000, and for 2018 no major changes are expected. 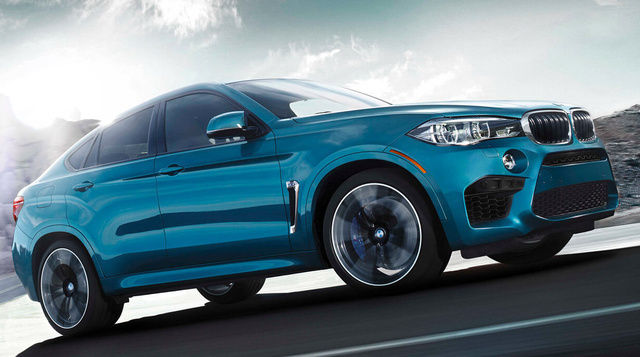 The X6 M is distinguished from the standard model by more aggressive styling cues, larger forged aluminum wheels with painted accents, and prominently displayed M badges. Just like the X5 M, the 2018 X6 M has a raucous 4.4-liter twin-turbo V8 under the hood that makes 567 hp and 553 lb-ft of torque. It will get from 0 to 60 mph in somewhere around 4 seconds, covers a quarter-mile in the low 12s, and goes on to a quoted top speed of 160 mph. Just as in the X5 M, that extreme amount of power goes to all four wheels, and despite stop-start ignition, the X6 M is estimated to get only 14 mpg city, 19 highway, 16 combined. Also like the X5 M, there's a tempting alternative in the X6 xDrive50i model, which is a far less serious performer, but still makes an impressive 445 hp and 480 lb-ft of torque at a price almost 30 grand less than the M version's. Compared to the normal X6, the X6 M has its own suspension system, beefier sway bars, and better brakes, so it’s not out of tricks once it gets to a corner. The X6 M has had serious engineering effort put into it, so despite its being essentially a jacked-up sport wagon, it maintains excellent handling and corners flat. Most who have driven one at the track have expressed surprise at how well it handles. The X6 M is mostly about performance, but because it’s a BMW, that doesn’t mean it skimps on luxury. Standard equipment includes a sunroof, dual-zone automatic climate control with separate air-conditioning controls in the rear, heated front seats with lumbar support that are more heavily bolstered than the standard version's, heated mirrors, rain-sensing windshield wipers, an integrated navigation system, and BMW’s iDrive infotainment system. Optional extras include things like a Bang & Olufsen stereo system and a head-up display. One shortcoming of that sloping roofline that may look sportier to some is that it cuts down on rear headroom for rear passengers. It also takes a chunk out of the rear cargo area that makes the X5 so practical. Overall, 9 cubic feet of rear cargo room are lost between the two BMWs, although the X6 still manages a decent 26 cubic feet, so it still fits more than many coupes and sedans. The X6 hasn’t been crash tested, but the X5 on which it is based has gotten 5 stars overall in National Highway Traffic Safety Administration (NHTSA) testing and top Good results in the handful of Insurance Institute for Highway Safety (IIHS) tests in which it has taken part. BMW offers plenty of high-tech safety features, but many are optional extras. A reversing camera is standard, but you’ll have to shell out extra for a surround-view camera, automatic emergency braking, a night vision system (with both pedestrian and animal detection), forward collision warnings, and even adaptive headlights. What's your take on the 2018 BMW X6 M? Daniel Great vehicle. Corners good. Nice looks. I decided to go with a Jeep Trackhawk instead. Love the look of the Jeep and the power. Have you driven a 2018 BMW X6 M? Enter your zip to see incentives for a new X6 M in your area. Looking for a Used X6 M in your area? 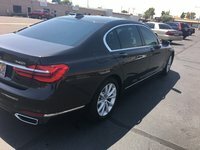 CarGurus has 271 nationwide X6 M listings starting at $16,995.